To collect, preserve, multiply and propagate our native bio diversified native seed varieties among farmers and home gardeners. To bring back and popularize our native vegetables and crops varieties to local markets which are at present dominated with hybrids and GMO. 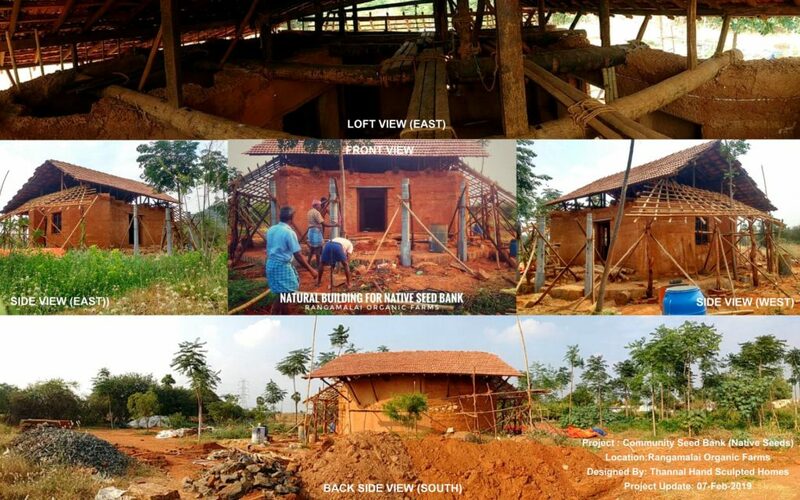 To create awareness about low cost, natural, healthy, alternative buildings built using locally available building materials from natural resources. 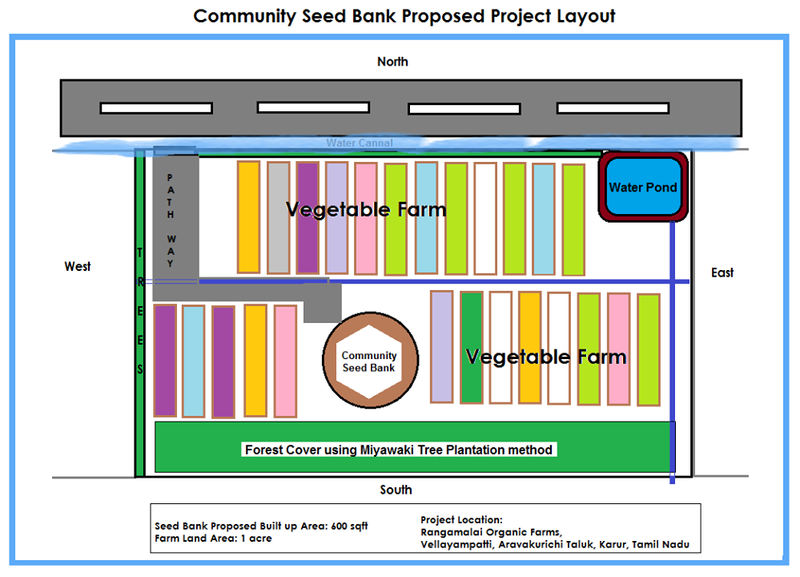 The community seed bank’s built-up area is 1380sq ft and will be made from 100% natural building materials. Indigenous seed storage methods and techniques will be used for seed preservation. It is to be constructed in an acre of organic farm land which is dedicated for cultivating and production of open pollinated native vegetable and crops varieties. Who is building it for us? Thannal Hand Sculpted Homes a natural building awareness group have free-willed and designed 1340 sqft structure for preserving native seeds. Would you love to volunteer? We have volunteers from Thannal helping us in this projects. We also welcome volunteers who love to dirty their hands in constructing this community seed bank project and thereby learn Natural Building Construction, Natural Farming and Miyawaki tree plantation methodology. Volunteer Registration: Click here to register yourself for volunteering. You may help us through your funds! The contribution will cover land preparation expenses, building materials, seed storage pods, solar panels, tree saplings, labor wages etc. A detailed expense report will be emailed for your reference. Fund Contribution: Click here to help us through your fund contribution. Note: The above web link would redirect you our secured online payment gateway powered by Instamojo. Copyright © 2019 Rangamalai Organic Farms – Manvasanai. All rights reserved.